Licensee must own an original and/or copyright fee-paid of any licensed material it copies or scans under the terms and conditions of the license. Licensee can make copies for the number of students on a course of study as a course pack only, and not copy more than 15% or 1 chapter of any publication per year. 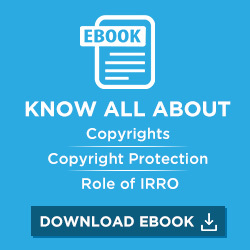 License does not authorize copying, repackaging, selling, disseminating, publishing, communicating or distributing digital copies beyond the terms contained herein. Digital copies may not be placed on the publicly accessible World Wide Web, or be linked to any third party website, either directly or indirectly, by hypertext links and the like. Licensed copies may not be used for education or training of any third parties of the licensee, but may be used for the training of authorized persons – provided that the licensee does not receive any form of remuneration. Licensee shall not edit and manipulate digital copies, nor shall it authorize such acts. Where any work (including artistic work) appearing within digital material or material licensed for scanning has the identity of the author or creator, no digital copies shall be made unless the copies incorporate their identity as well.